April 5, 2017—As a child, Suzanne Parete-Koon knew she wanted to understand how things work. 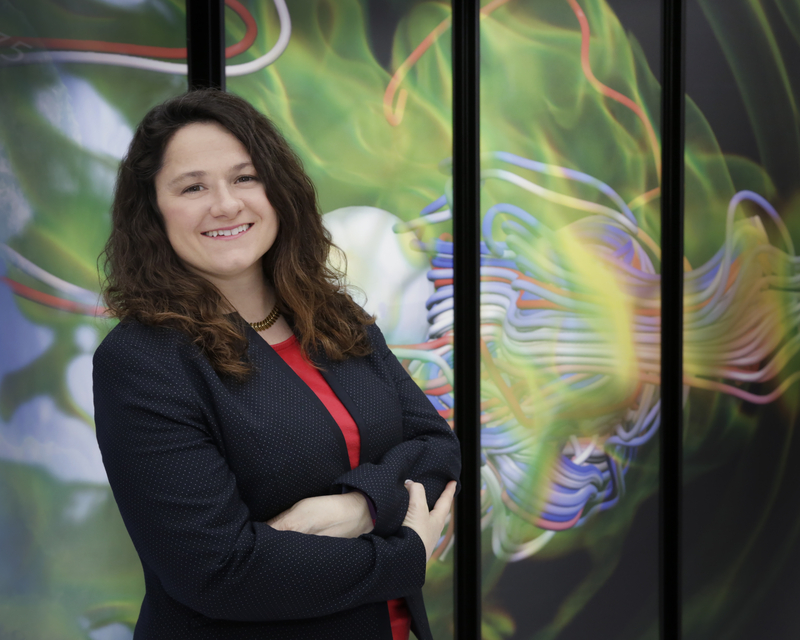 That curiosity led to a career first as a computational astrophysicist and later as a user support specialist for one of the world’s most powerful supercomputers—the Cray XK7 Titan, located at the US Department of Energy’s Oak Ridge National Laboratory. After completing her PhD in astrophysics at the University of Tennessee, Knoxville, in 2008, Parete-Koon spent a year working as a foreign affairs officer for the US Department of State through an American Institute of Physics diplomacy fellowship. During that time she served as a representative to the ITER Council and as the United States’ primary point of contact for Space Weather. During her time at State, she helped foster international relations by facilitating global scientific collaboration through workshops and meetings, including the United States–Egyptian remote sensing satellite data workshop. In 2009 she accepted a postdoctoral position with the Scientific Computing Group at the Oak Ridge Leadership Computing Facility (OLCF), a DOE Office of Science User Facility located at ORNL. At that time, she was working on developing computational simulations of the web of nuclear reactions that power stars and stellar explosions. Her passion for people eventually directed her interests toward the support angle of computational science. Now she spends many of her days collaborating with OLCF staff on innovations to improve user experiences and working directly with users to help them get the most out of their time on Titan. Parete-Koon is also highly involved in volunteer activities at ORNL. During her time as cochair of the Women in Computing networking organization from 2014 to 2016, she organized lunches, spoke at the Grace Hopper Conference, and played an active role in ORNL’s Traveling Science Fair. She also helped organize ORNL’s Introduce Your Daughter to Code event in 2016, which allowed staff from the National Center for Computational Sciences directorate to bring their daughters to work to learn about coding from OLCF programmers. “I think it’s important that parents and kids have a chance to show each other and inspire each other in new skills like programming,” she said. Parete-Koon believes she should continue fostering a curiosity and passion for science and technology, and she hopes that future events like Introduce Your Daughter to Code might reach even wider communities. Parete-Koon said one thing is certain: her success in STEM careers and as a mother is the result of hard work, dedication, and perseverance.